Benefit’s new Roller Lash mascara is an ink black, water-resistant, satin finish mascara that provides instant length and curl to even the shortest and straightest of lashes. 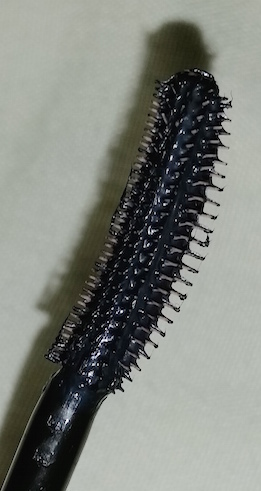 It contains a Hook & Roll brush that is created to act like a hair roller for eyelashes. The bristles contain little hooks that are placed to grab at the lashes, separate and curl them as the formula sets the curve into place for up to 12 hours. The Roller Lash formula also includes Serin and Pro Vitamin B5 to condition the lashes. It comes packaged in a sleek, black tube with a baby pink, screw cap lid that is designed to look like a hair roller. I currently have the sample that was included in my March Birchbox which looks slightly different to the full-size, but if you click here to go to the Benefit website, you can see the proper packaging. To apply, you need to position the brush at the bottom of the lashes and wiggle the brush side to side up to the top. If you wish, apply a second coat when the first has dried. Benefit’s Roller Lash mascara really delivers on its claim for length and curl. Lashes instantly look longer and even straight lashes are given a newfound curve. The overall look and finish that it provides can also be suited to casual day time wear or worn on a night out (with one or two coats, depending on your personal preference!). The Hook & Roll brush is fantastic! The curl you can acquire thanks to it is impressive, so it could result in a fair amount of eyelash curlers being neglected or thrown out of the window. It pretty much renders them completely redundant (if you use them, anyway!). Along with this, it’s fast and simple to use, so it’s great when in a hurry. Even if you are in a rush, it still provides the results it promises. Another thing that I love about the brush is the width. It’s really thin, so the tip of it reaches even the hardest to reach eyelashes for maximum coverage. There’s no lash left behind! The claim for 12 hour wear is also a solid one. That curl really does hold for the entire day. Because of this, it can be easy to imagine the removal being a bit irksome, but that isn’t the case at all. Removal of Roller Lash is incredibly easy. Some mascaras can be incredibly stubborn to remove, but this comes off quickly and without much fuss. I have noticed a bit of a mascara smudge underneath my eyes whilst wearing Roller Lash, but only a tiny amount (so this critique is quite a picky and minute one). It also only appeared after using an under eye cream and it wasn’t an issue with the use of an under eye gel (such as Lancome’s Hydra Zen Yeux Neurocalm Eye Contour Gel) instead. If you are looking for a volumising mascara, you probably won’t find what you are looking for with Roller Lash. If length and curl is what you are after though, then this is fantastic! However, Benefit do already have a volumising mascara (BADgal Lash mascara 8.5g/£17.50), so if volume is what you are wanting then that is probably a better item to look at. Overall though, this gets a huge thumbs up from me! You can purchase Benefit's Roller Lash mascara for £19.50/8.5g from Benefit. 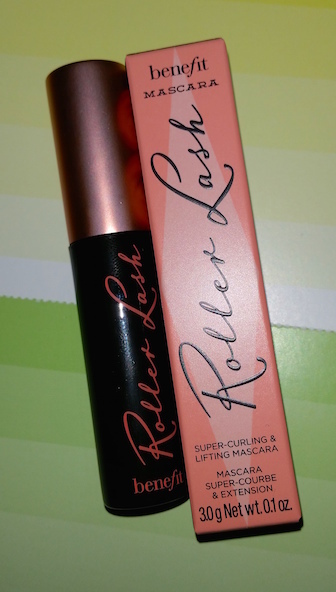 What are your thoughts on Benefit's Roller Lash mascara?